An engaging and informative social media presence is essential to the growth of any brand. Holidays, such as Valentine’s Day, provide an excellent opportunity for brands to provide value to their audience in a creative, fun, light-hearted way across all social channels and show their appreciation for clients. In order to make the most of this opportunity, and the weeks leading up to it, it is crucial that all social media profiles are optimised. One of the most effective ways to do this is through the imagery used on each profile. On platforms such as Facebook and Twitter, you can change your cover and profile images to incorporate a valentines theme but still keeping to brand guidelines. 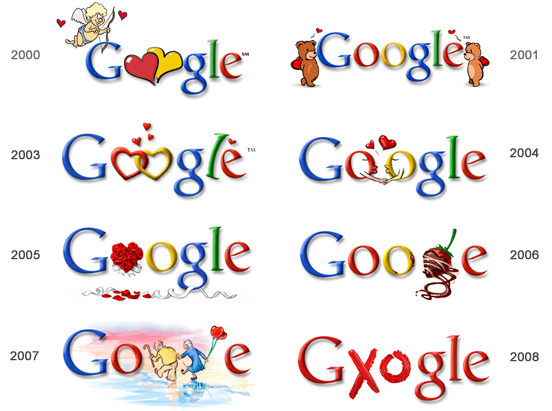 An example of this is how Google incorporate valentines into their iconic logo year on year. However, imagery is not enough. Your social posts must be relevant and have solid call-to-actions to have a successful campaign. You have the creative freedom to use valentine-related language and phrases, however make sure to not jeopardise your brand integrity; keep it tasteful. It’s important to consider your target audience and what types of content they’ll enjoy and want to voluntarily share. 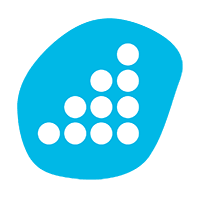 The type of content most shared by users often has elements of humour or impactful statistics to entice users. You might consider telling Valentine’s Day themed jokes or showing a stat of how much chocolate is sold during the week leading up? Be creative in your approach and your campaign will flourish. For more general social media marketing tips, take a look at our social media marketing checklist. According to research by The Relevancy Group, 66% of online consumers check their email account multiple times per day. Similarly to a social media campaign, email marketing also allows you to show clients your creativity and appreciation. Following the same themes as social media with regards to imagery and language, email campaigns also need to be original and preferably, but not mandatory, have an interactive element, such as an embedded animation, or personal message that will increase interest. Any emails you do intend to send need to have a clear call-to-action included. This could be to connect on social media or encourage spend on a particular product/category with the use of an exclusive Valentines email discount, e.g. enter ‘LOVE10’ at the checkout for 10% off. Have a look at our previous blog on how to create an email campaign that people will actually read to help with this. Valentine’s Day is also a great opportunity to reach out and express your appreciation to your clients. A card and a small, inexpensive gift is all that is required for this idea. For example, the gift could be chocolate, a pen or some of your branded merchandise. Pair this gesture with a strong call to action, and a current offer or exclusive discount, and in return clients will feel valued and may consider your brand the next time they are in need of the product/service you offer. As previously mentioned in the social media and email campaign sections, a Valentines offer in the weeks leading up to the day. Everyone loves a bargain, or likes to think they’re getting one, so discount codes can really drive sales. The amount of discount you want to offer is up to you, however I’m sure the higher the amount, the more love you’ll receive. Holidays are a great opportunity to get creative with your branding. You may notice that around different national days brands may temporarily alter their existing branding to match the holiday. Some minor changes you could make to your brand include creating an alternative logo and changing the colours on your website and social media accounts to reds and pinks. Be creative and think outside the box when designing temporary brand alterations. It can also be effective to use language associated with valentines, providing your brand and customer interaction with more personality that may add value to certain customers. So there you have it, 5 marketing ideas to engage with customers, encourage interaction and boast some of your creative flair within your brand, this Valentine’s Day. If you require any help with anything mentioned above, we are specialists in website design, marketing, social media and SEO, and would be happy to discuss your campaign ideas. Get in touch with us to find out how we can help. Previous Post 5 reasons Google hates your website?